Bengaluru-based Microsoft Accelerator has selected 14 startups for its startup accelerator programme. It is the tenth batch for Microsoft’s Accelerator Programme. The cohort has been selected from VC portfolios – including Inventus Capital Partners, Ideaspring Capital, Accel Partners, IDG Ventures and Pi Ventures, based on their nominations. They were selected based upon founder experience and industry expertise, products, and traction, as per an official statement. 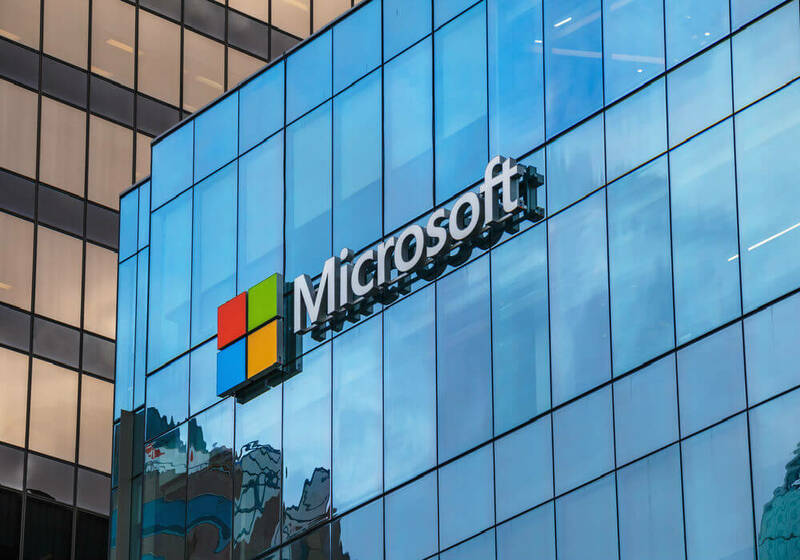 They will also work closely with Microsoft’s sales & marketing teams and partners including Wipro, TCS, and Temasek, to take their products to businesses in India and around the world. The startups will also adopt Microsoft Azure, to make use of its advanced cloud services in areas such as – big data, IoT, advanced analytics and cognitive services to scale their products.This move is in conjunction with Microsoft Accelerator’s new curriculum for market-ready startups that aims at increasing revenues and market opportunities. As per an official statement, 7 of the 14 selected startups have an average annual revenue rate (ARR) of $1.5Mn, and average funding of $3.2Mn. The Seed-stage startups chosen for their deeptech driven offerings have an average ARR of $200K and an average funding of $1.5Mn. AceBot – Launched in 2015, AceBot.ai is a Slackbot that aims to drive a team’s productivity and make them more efficient. It has features that help teams report expenses, manage daily tasks, conduct polls, and rate policies. Its clients include companies like IBM, PayPal, and Airbnb. Active.ai – Founded in 2016, Active.ai provides a tech platform for banks, wealth managers, and financial services companies to interact with customers. It provides an AI-powered virtual assistant to its users that caters to their emergent banking needs. FirstHive – FirstHive is a B2B marketing platform that enables users to access cross-channel marketing. It allows users to engage with customers across multiple channels and provides real-time integrated customer intelligence. Heckyl – Launched in 2012, Heckyl is a big data-enabled analytical platform for investors, traders, and researchers from the fintech sector which provides real-time news and data analytics to brokerage firms, short-term traders, investors, and fund managers. Karomi – Karomi is a global technology solutions provider, with significant focus across two principal industries – Life Sciences and CPG (Consumer Packaged Goods). Its flagship product, ManageArtworks is a Packaging Artwork Management Software that helps regulated industries like pharmaceuticals, fashion, and Consumer Packaged Goods ensure their regulatory compliance of pack labels. Lavelle Networks – Founded in 2015, Bengaluru-based Lavelle Networks offers an SDN (Software Detection Network) platform that connects multiple locations over the Internet in a secure manner. It also offers a user interface which can manage a 10-10000 node network with less than four operational steps. LetsTransport – Launched in 2015, LetsTransport facilitates inter-city aggregation of mini trucks and a large vehicles across industry sectors like retail, FMCG, and ecommerce. LetsTransport operates on both B2B and B2C model. QuestionPro – The company provides online survey software that allows users to generate the insights to make better business decisions. The software includes tools for creation, distribution, and analysis of surveys, and also provides a platform for polling, tablet-based mobile research, and data visualisation. SigTuple – Founded in 2015, SigTuple aims to create a data-driven, machine-learned, cloud-based solution for detection of abnormalities and trends in medical data, for disease diagnosis. SigTuple has developed a continuous learning platform powered by AI for healthcare, ‘Manthana’. It allows SigTuple to attain visual medical data from different devices. SysCloud – SysCloud offers a suite of tools that provides protection for data in Google Apps through real-time backups, insights, and security policies. SysCloud was founded in 2010 and has offices in New Jersey and India. Tricog – Launched in 2015, the startup offers a solution which includes installing a cloud-connected ECG machine in primary and secondary care medical centres – clinics, polyclinics, nursing homes, and hospitals. The collected information is then sent to a centrally located hub for further analysis and report is received through an SMS or a mobile app notification. vPhrase – The startup is an artificial intelligence platform that helps companies convert data to insightful and actionable stories. It helps companies make reports that can be easily understood by their employees and customers. WittyParrot – Launched in 2012, WittyParrot offers contextually relevant content in the form of modular content blocks along with rich metadata that can be instantly found and consumed by sales and support teams. Zenatix – It was founded in 2013 and provides an energy management product. The startup deploys advanced machine learning based models and delivers up to 30% energy efficiency to large commercial consumers of electricity. Prior to this in March 2016, Microsoft Accelerator announced the names of 12 startups that were selected for its eighth Accelerator batch of its Hi-Po & Scale Up Program. The cohort was selected from over 2,100 applications. In June 2016, Microsoft also entered into a global partnership with Singapore-based investment company Temasek to help support and scale startups across the world. Following that, it selected 13 startups for its ninth cohort.